We are proud to present: Our new company profile video! We are proud to present a sneak peak at our new company profile video!! Thanks to Iceberg Films for the production of this showcase of Chris’s Sign Service. Another day, another LED Retrofit project from Chris’s Sign Service. 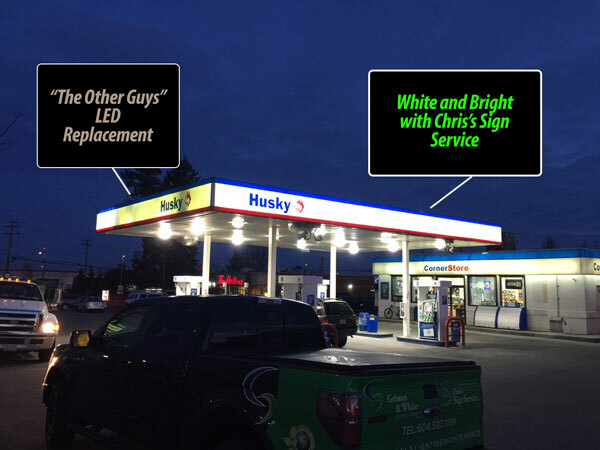 Our team at Chris’s Signs spent a couple days removing the existing high output fluorescent lamps signage and replacing with a Sylvania BoxLED product. 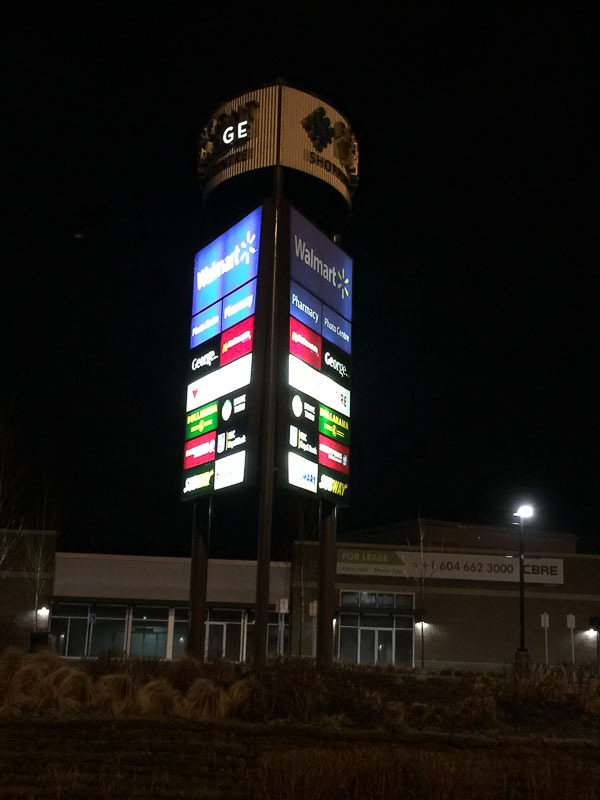 Best Buy Canada was looking to save money and upgrade exterior signage at their Langley warehouse by switching from fluorescent lamps to LED. Check out our article in Sign Media Magazine – entitled, “Retrofitting signs with LEDs”. Before and After shots showing the increased illumination from this LED retrofitting project.